DUBLIN, Ohio -- (Sept. 17, 2018) Dublin Arts Council will present the third multicultural B.R.E.A.D! Festival of arts and community in Coffman Park, 5200 Emerald Parkway, Dublin, Ohio, on Sunday, Oct. 14, 2018 from 12 to 9 p.m. Activities will include interactive community booths, traditional music and dance, hands-on artmaking, international cuisine, bread vendors, food trucks, a fair trade global marketplace and more. Admission is free. Festival activities include a full schedule of performing and visual arts, leading up to and including Oct. 14, 2018. 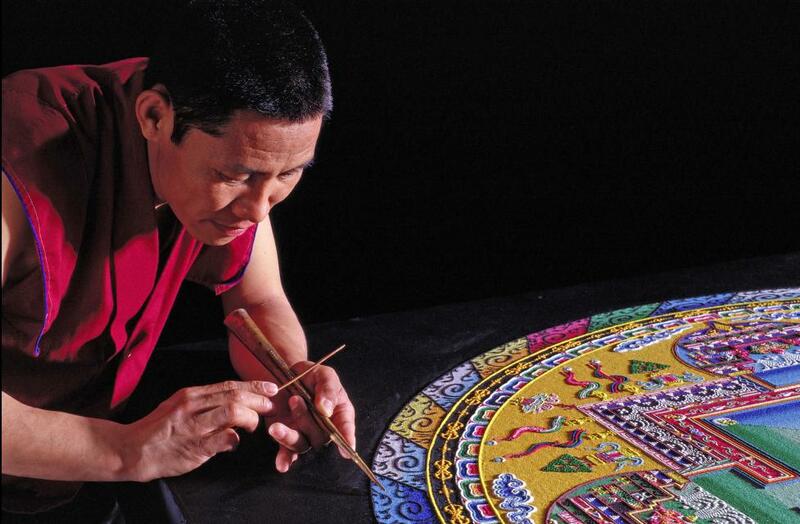 The festival will include The Mystical Arts of Tibet featuring the Monks of Drepung Loseling Monastery constructing a Mandala Sand Painting in the Coffman Park Pavilion from Oct. 10 through Oct. 14. Millions of grains of sand are painstakingly laid into place in this spiritual art form in order to purify and heal the environment and its inhabitants. Guests are welcome at all times listed below, in the Coffman Park Pavilion, 5200 Emerald Parkway, Dublin. Oct. 10 12 – 6 p.m.
Oct. 11, 12 and 13 10 a.m. – 6 p.m. The monks will train local artist Hilary Frambes on the use of chakpur, traditional metal funnels used for pouring grains of sand. Frambes will work with festival guests, using these authentic tools to complete a community sand painting during the B.R.E.A.D! Festival, Oct. 14 from 12 to 9 p.m. The B.R.E.A.D! Festival has been developed by a diverse group of community members to preserve cultural authenticity. The festival is designed to provide education and promote tolerance in the extended community through shared social and cultural experiences. Interactive community booths feature activities from Poland, Germany, the Ukraine, India, Japan, Turkey, Bhutan and Ireland. Festival activities embrace the B.R.E.A.D. acronym: Bake, Reconnect, Educate, make Art & celebrate Diversity. For more information, including a parking map and information about volunteering, visit www.dublinarts.org/BREAD or contact Dublin Arts Council at 614.889.7444. The 2018 B.R.E.A.D! Festival is supported by grants from City of Dublin, Cardinal Health Foundation, National Endowment for the Arts, Puffin Foundation West, Ltd., and Dublin Community Foundation. Community sponsors include Sonesta ES Suites, CityScene Media Group, Hidaka USA, Inc., Tuller Flats/CASTO, MCZ Consulting, Tom and Gwen Weihe, Haydocy Airstream & RV, PNC Financial Services, Jasstek, Inc., and Central Ohio SafeRide. Dublin Arts Council is also supported in part by the City of Dublin’s hotel/motel tax and the Ohio Arts Council, which helps fund Dublin Arts Council and its programs with state tax dollars to encourage economic growth, educational excellence and cultural enrichment for all Ohioans.